Upholstery cleaning is another discipline that can go horribly wrong, with incorrect cleaning processes. Having paid out thousands for a good quality lounge suite, do you really want to risk the cleaning of your couch, that took you so long to choose and pay for, to an untrained, under prepared upholstery cleaning novice? Upholstery cleaning methods, incorrectly applied to the wrong textile, can have disastrous effects on sensitive fabrics. To make matters worse, the damage may not always be obvious and may lead to progressive long-term, irreversible damage. 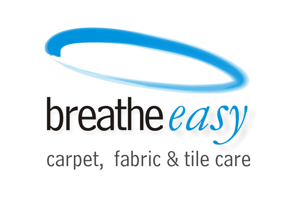 What can I expect from Breathe Easy Carpet and Fabric Care's upholstery cleaning service? The Breathe Easy Carpet and Fabric Care upholstery cleaning philosophy is such that we continually undertake Government recognised training courses to provide a service that delivers the ultimate cleaning result while having the knowledge to minimise any risk of damage while cleaning your couch or sofa. Provide you with an understanding of what upholstery cleaning agents may adversely affect or enhance the fibres of your lounge. Be proactive in ensuring environmental and health standards are factored into each cleaning task they undertake. Provide information in regards to fabric protection and the effectiveness of fabric protection on different fibre types. Discuss customer sensitivities to cleaning solutions and fragrances. For these customers with sensitivities, we can offer a premium cleaning solution which is fragrance free,soap free and VOC free. As part of our commitment to providing only the best service, Breathe Easy Carpet and Fabric Care technicians regularly undertake training in the various cleaning processes and services, to enhance skills and knowledge, with ongoing technical support from both The Carpet Cleaning Association of WA and The Australian Carpet Cleaning Institute.